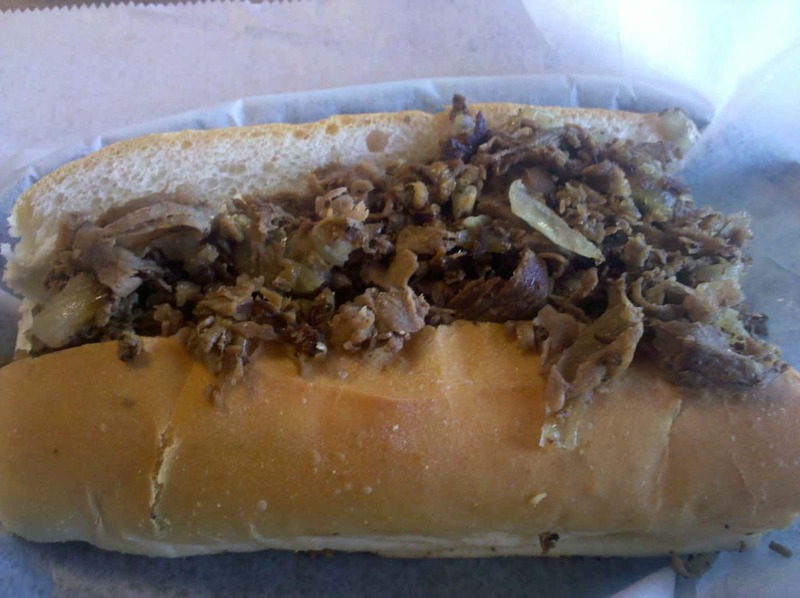 This are getting hectic this holiday season, but the great cheese steak challenge continues with some local Delaware chains. 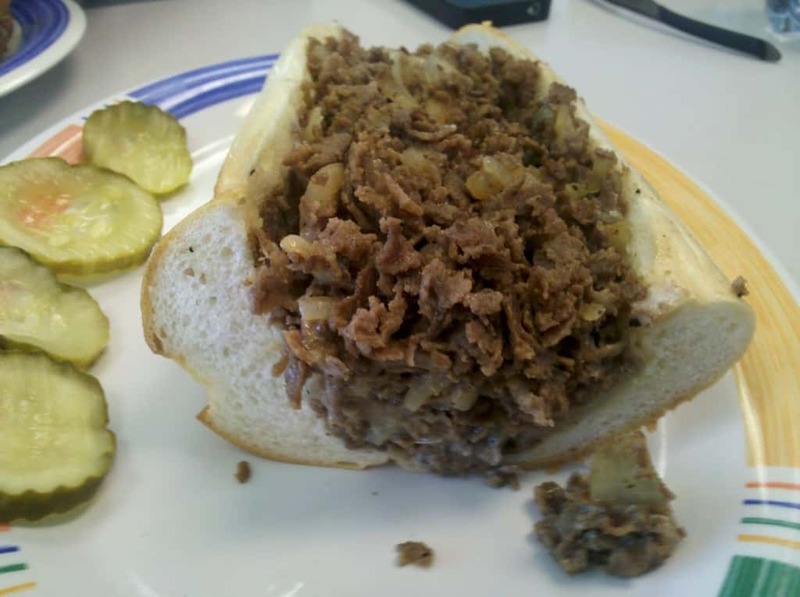 Claymont Steak Shop and Pat’s are two locals hat I can remember throughout my entire childhood for quick weeknight meals when no one was willing to cook. When it comes down to it though, can either of these keep up with the big dogs or have their multiple locations spread them too thin? We must visit the head to head competing shops during the same visit. 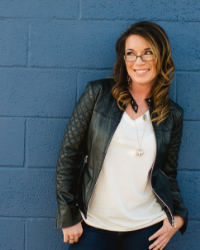 Biased – 1) to show prejudice for or against (someone or something) unfairly. 2) Influence unfairly to invoke favoritism. That’s the word for this challenge. 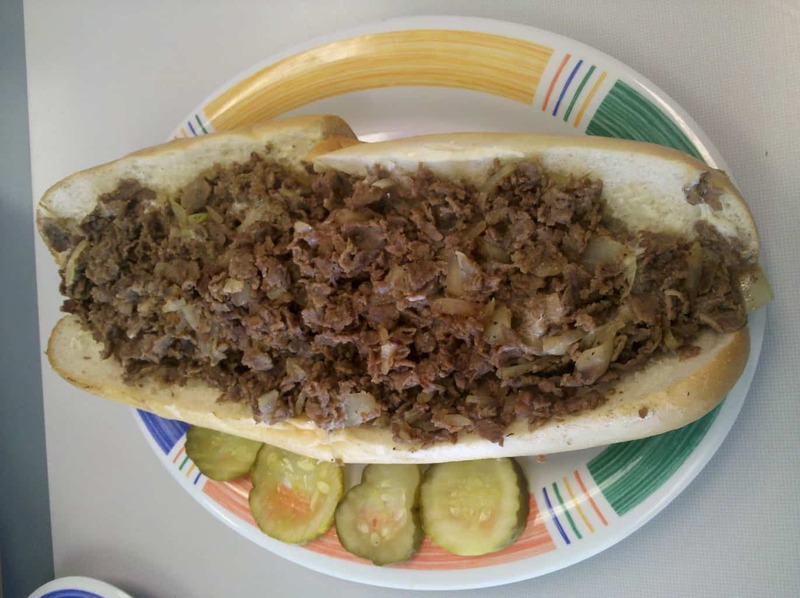 I’ve been to Claymont steaks a handful of times and thought to myself on our way to the shop, “no way can Pat’s Pizzeria compete with Claymont Steak’s”. Now to be fair I have never had a cheese steak from Pat’s pizzeria, but come on it’s a pizzeria not a cheese steak joint….right?? bounty. It was a big, overstuffed sandwich with steak overflowing the sides of our roll. The roll looked hardy and full of life and I thought to myself “I’m so biased right now it’s not even funny”!! Time to dig in, upon the first bite I wasn’t totally impressed but by the second and third I noticed that the meat was cool. Not hot, not warm but cool?? The meat was also very dry and I couldn’t find any cheese in my bites. Then a bird flew by my head and smashed into a window right next to me. The hardy looking roll was a master at disguise because it turned out to be flat and very blah! Wait a minute, did you hear me? I said a bird just flew by my head and smashed into a window INSIDE the restaurant. While I continued eating my sandwich the bird laid there flapping away until he regained his senses and started to fly around the restaurant again. By about half way through I still couldn’t taste any cheese. I opened up the sandwich and noticed that there was very little cheese on this cheese steak. In fact I could only taste one burst of cheese during the whole eating process. 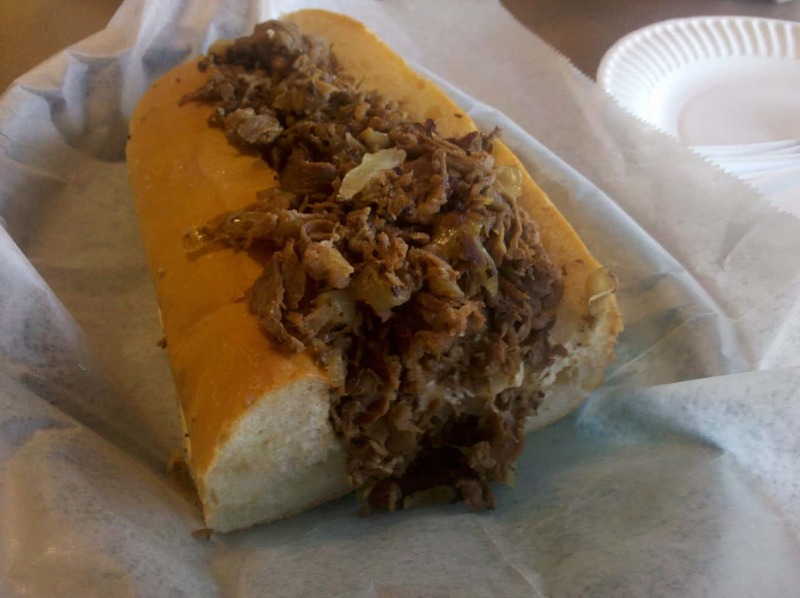 I finished the sandwich, left my seat and the bird sitting next to me and headed with Sean to Pat’s Pizzeria which couldn’t be as bad as Claymont Steaks….could it?? Oh yeah one more thing, right before we left Sean went to tell the cook that the cheese steak sucked (he was pissed) and he noticed, sitting on the grill was a huge pile of steak with brown steak on the bottom and raw steak on top. Didn’t momma tell you never to mix raw and cooked meat?? Chris and I left Claymont Steaks and headed down to Pat’s Pizza. We couldn’t believe what had just happened, Claymont Steaks…a place with such a great reputation had let us down, maybe Pat’s had a chance. We arrived at Pat’s and found the restaurant moderately busy. This is one of few places is northern Delaware that you can eat in, but without a server, which I like. Chris ordered, we sat down, and in less than 10 minutes our steak had arrived. Now, I think I should note that I have eaten at Pat’s about a thousand times. I used to go there so often, that I knew most of the staff and managers. I still recognize some of the faces, but after my move to Middletown five years ago, I really do not go there very often. We bit into our steak and it had everything that Claymont didn’t. The steak was plentiful, hot, and the fried onions and cheese were mixed in throughout. So it was good? Not really. There was a slight taste (mystery taste) that Chris and I could not put our fingers on, but it was really killing the experience. The Pat’s steak was not on par with the other restaurants that we have tried. The roll was bland, almost as if it was just there to hold the steak together so that it was easier to eat. The steak was tasteful, with a moderate peppery taste, but I wouldn’t say that I particularly liked it. Chris and I both agreed that Pat’s had edged out Claymont by a thinly sliced piece of steak, but both places were not very good. Pat’s will get another chance to prove itself, since it will proceed to the next round. Today was not a good day in the Great Cheese Steak Land! After a turnout like this, can Delaware steak shops hang with the great cheese steak from Philly? Disappointing! Maybe if they’d have violated their ‘cannot be drunk’ rule, the day’s cheesesteakiness wouldn’t have been so poopy. Even those these weren’t a hit, I am drooling! I love Cheesesteaks, and it has been way too long since I have had one! @parsley sage, if we broke our “cannot be drunk” rule I bet they would’ve been the best cheesesteaks ever!! Malin’s Market in Newark has a great cheese steak. One of the best I have ever had was from Park Deli on Elkton Rd. Philly’s are all about the bread. If the bread doesn’t crumble right and have the right texture to soak in the beef flavor then the sandwich as a whole will not be very edible.